We wanted to demonstrate you what effect your bedlinen can have when it comes to your bedroom decor and atmosphere. 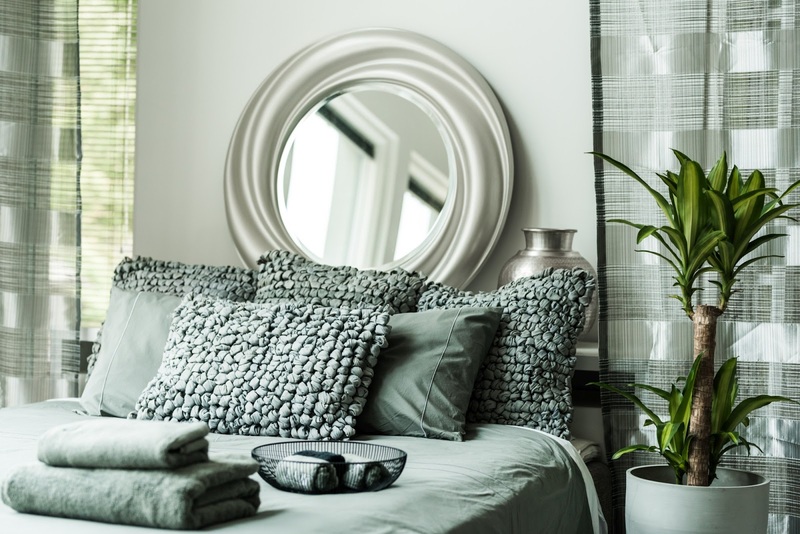 You don´t actually need to change that many elements in your bedroom to make a complete visual change. 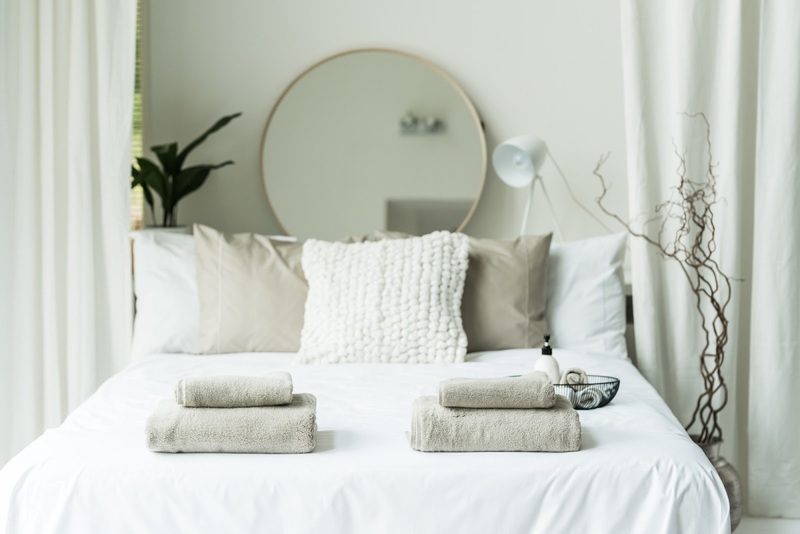 The main element in bedroom is naturally the bed. Typically we would start to decor or re-decor the bedroom by buying a new bedspread or bed cover. 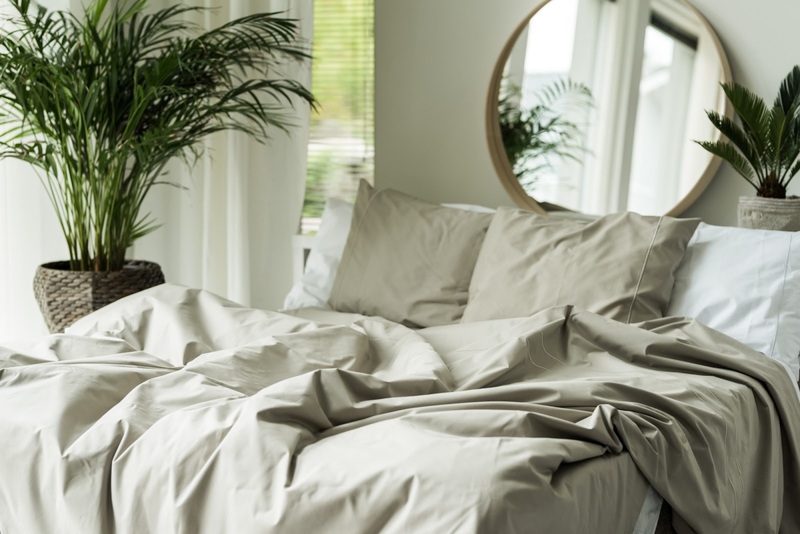 Many of us buy once in a three four years a new bed cover and that is the element which defines the color scheme of your bedroom. Well here comes the good news! Well-designed quality bedlinen do not need a bed cover to be covered underneath. 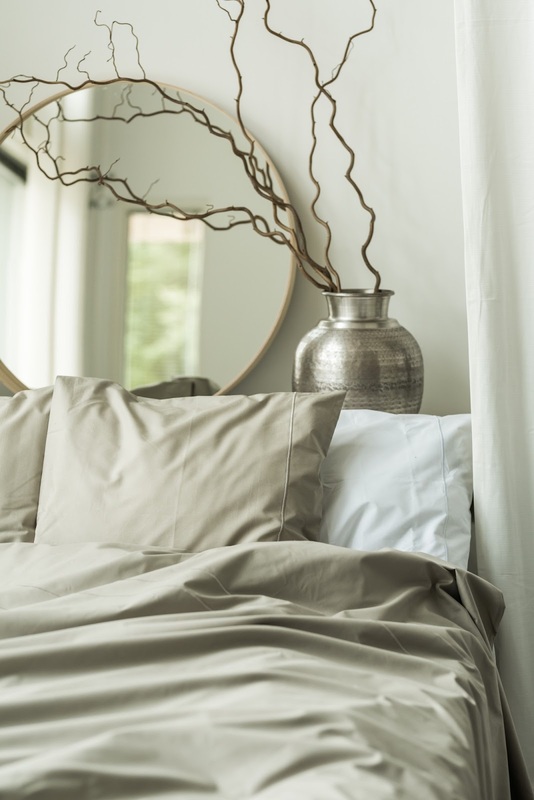 Quality bedlinen act as beautiful decor elements themselves, and the truth it is better for your bedding to get some fresh air instead of being packed under the bed cover daily. 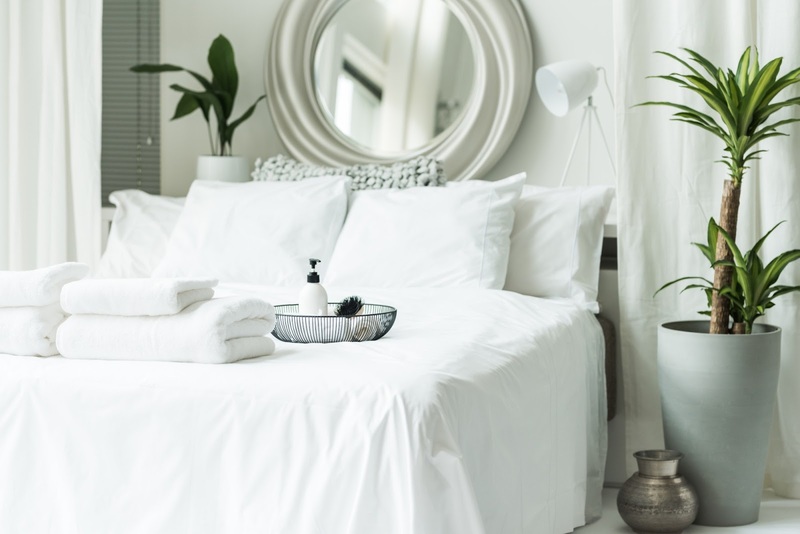 You can actually make up your bedroom much more often with bedlinen by putting the bed cover into the closet. 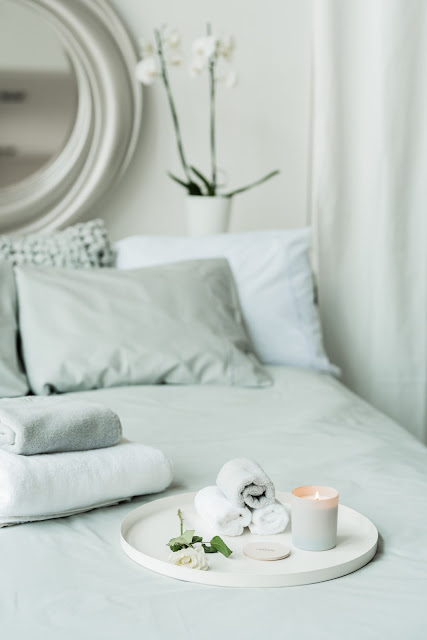 We decided to set up four different bedroom decors with our lovely harmonic colours snow, sand, pearl grey and granite for autumn inspiration. 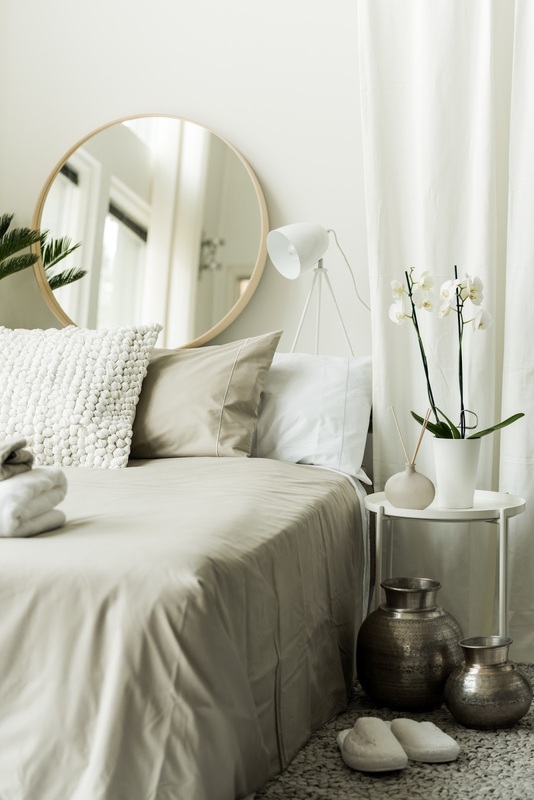 Changing the colour of bedlinen and some accessories really makes a difference. It took only 10 minutes to change the whole look and feel! Green plants bring the home feeling into this hotel style set up. Rugs are not always needed. To bring the true hotel feeling, just leave the rug out and go with simplicity. 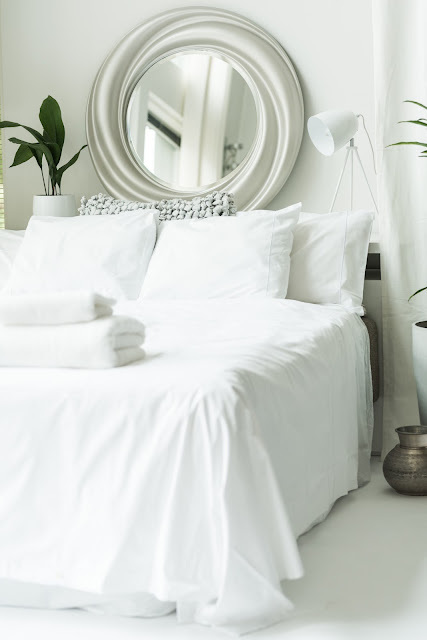 You may also use the white bedlinen and change the color of accessories. Change the cushion covers from your living room or flowers from your kitchen, or bring the rug from hallway to make the difference. 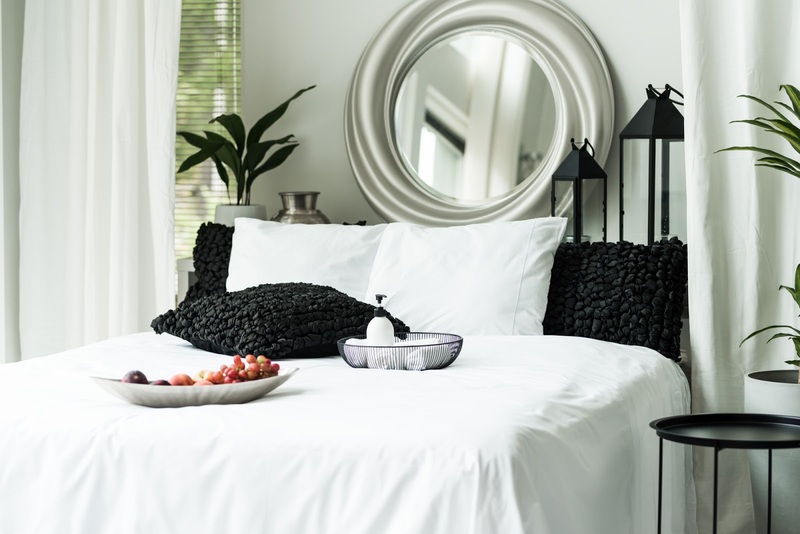 Black elements give the bedroom some modern timeless edge. The combination of black and white will never go wrong. Different shades of grey mixed with white. 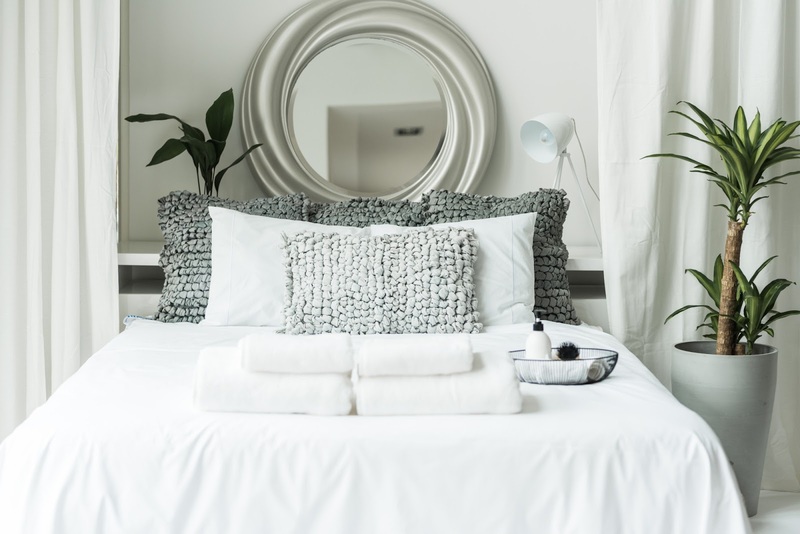 See how a couple of sand pillows and towels change the look. 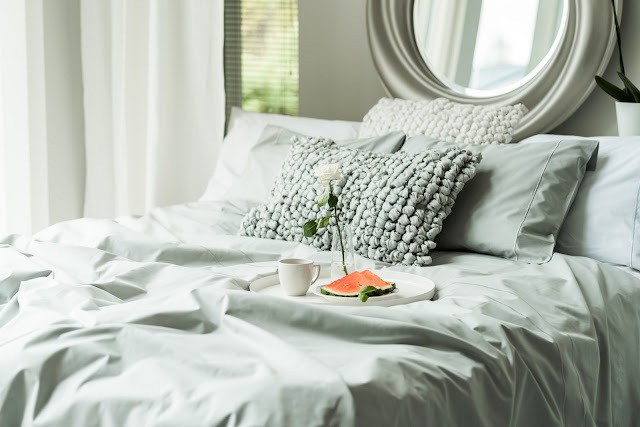 You don´t need to make the bed every morning. We actually like the ”I just woke up and left the bed” look more than the clean tidy look. Soft towels on your bed bring the hotel feel. Eye catcher on the back of your bed makes the difference. 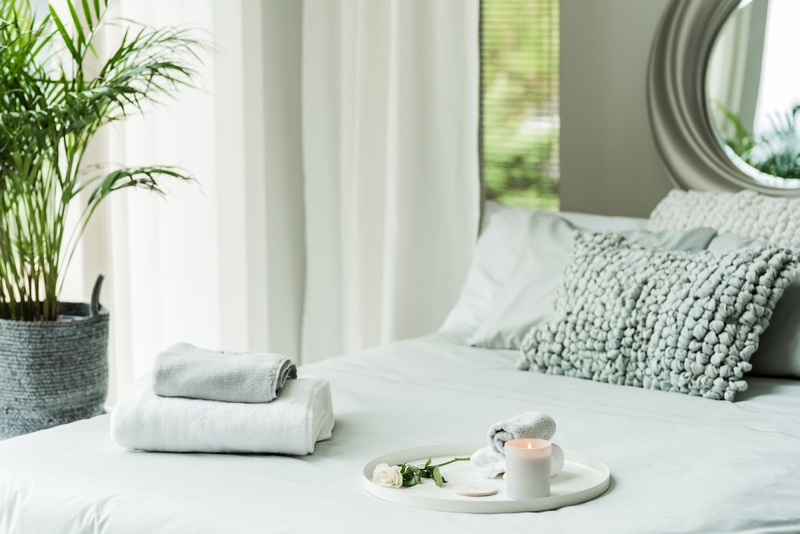 Add the room scents to bring the final touch to your bedroom. Just like a clean modern hotel. Candles bring some cosy ambience and warmth to any bedroom. Try our new Senses Collection with five indulging fragrances in Luin Living colours. Nature through the window is the art changing the whole look. Light breakfast makes you want to stay in bed for a bit longer. Can´t help loving this look and one of our first colours, the granite. Crispy and soft at the same time. 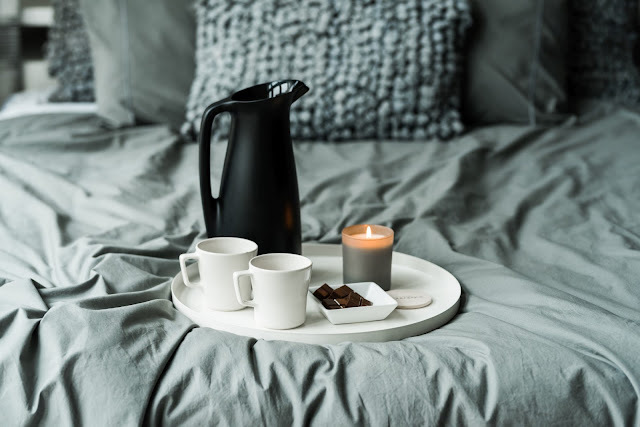 Coffee, chocolate, candles and granite bedlinen. What else do you need for the autumn evenings? 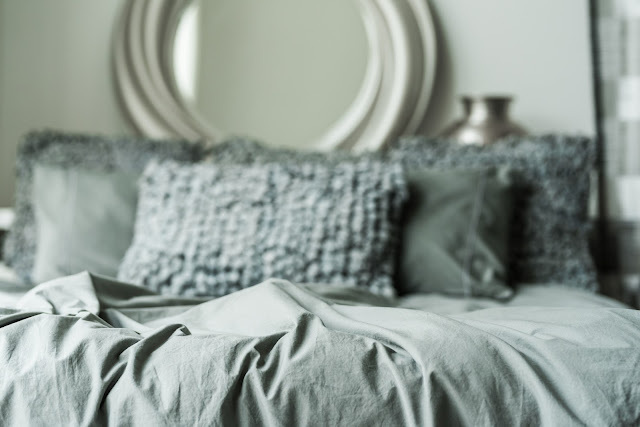 So here we had the 4 different bedroom styles tuned with our Sanctuary Bedlinen. 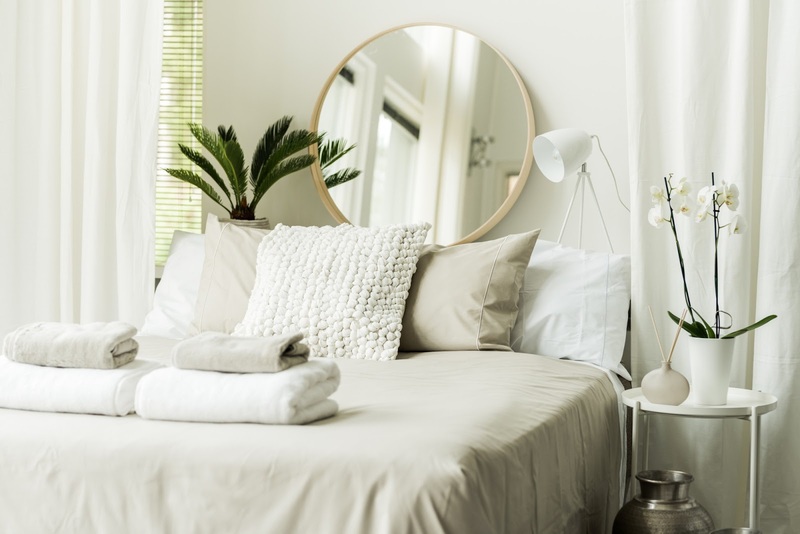 It really makes a huge difference visually, and mentally as well, to change the look and feel of your bedroom. And the best thing is that you can do it as often as you wish! 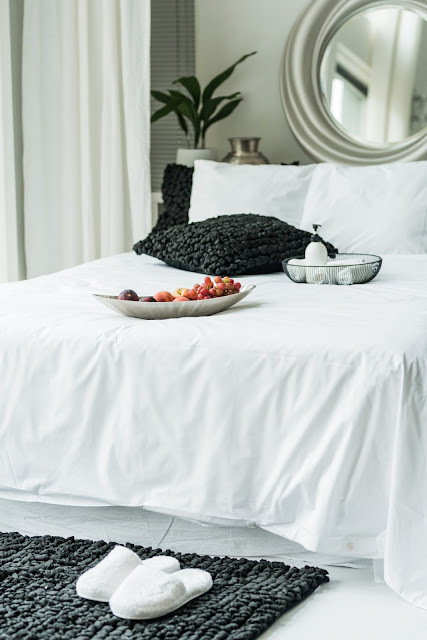 If you wish to read more about the quality of our Sanctuary Bedlinen, just click here. Thank you for reading this and for your interest. 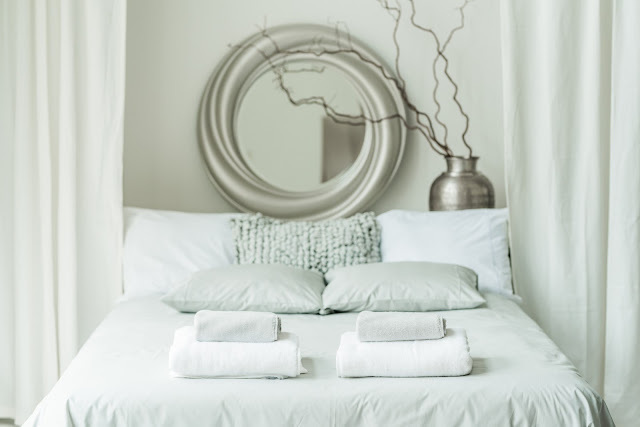 As promised, here is the code of -25% for our Sanctuary Bedlinen: BEDROOMMAKEOVER. It is valid until the end of October 2018 for normal priced Sanctuary products, not sets with ready given discount. Great Gift Ideas for all the homes. Click to explore and shopping! Share your bedroom ideas with us by using #everydayindugence. Artikkeli julkaistiin kategoriassa Pinnalla nyt. Avainsanat lakanat, makuuhuone, newyork, petivaatteet, sisustus, vuodevaatteet.